AutoNation Inc. will launch its digital storefront in December in the south Florida market with a new pricing moniker it calls Smart Choice. Consumers want easier purchases, and they don’t want much negotiating, Jackson said. He didn’t provide details about how Smart Choice works, but it’s part of AutoNation’s two-year, $100 million investment to bolster its brand and create digital storefronts -- websites for its dealerships that are transactional in nature instead of just informational. With the December launch, customers will be able to initiate a vehicle purchase online, Jackson has said. A customer will be able to select a specific vehicle, get a committed price and put down a deposit that guarantees the vehicle will be reserved for him or her, even if another customer walks into the store and wants to buy that vehicle. After the south Florida rollout, AutoNation will expand the first phase of the digital effort to its other regions in 2015. Online capabilities will be further expanded next year to eventually include handling trade-ins, giving financing quotes, arranging service appointments, paying bills online and getting online updates on vehicle repairs, Jackson has said. As part of the effort, AutoNation is moving away from third-party lead providers. 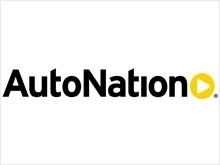 AutoNation already has started trimming its third-party leads, COO Michael Maroone said today, and that reduction will continue. The comments from Jackson and Maroone came as AutoNation reported net income of $106.5 million for the quarter, helped by stronger gross profits in new cars, used cars, finance and insurance and parts and service. Revenue for the nation’s largest dealership group rose 10 percent to $4.9 billion. AutoNation’s leaders are looking for more industry growth next year. The company’s earnings per share of 90 cents beat analyst expectations by 4 cents, and AutoNation stock rose 7 percent to close the day at $55.58. During the third quarter, AutoNation’s retail new-vehicle unit sales rose 9 percent overall to 83,682 vehicles. New-vehicle sales increased 7 percent on a same-store basis. That compares with an increase of 8 percent in U.S. new light-vehicle sales in the third quarter. AutoNation’s used-vehicle unit sales rose 7 percent to 56,584 vehicles. AutoNation’s biggest profit gain came in its domestic-brand segment with a 19 percent increase in income. Income from the luxury-brand segment rose 13 percent, while income from the import-brand segment rose 6 percent. New-vehicle revenue rose 10 percent, while new-vehicle gross profit rose 1 percent. On a same-store basis, new-vehicle gross profit slipped just a fraction of 1 percent. F&I gross profit increased 12 percent with a gross profit per vehicle retailed of $1,401. Parts-and-service revenue and gross profit both rose 10 percent. Last week, AutoNation completed its acquisition of Barrier Motors Auto Group in Bellevue, Wash. The deal adds Mercedes-Benz, Audi, Porsche and Volvo stores generating $355 million in annual revenue. Porsche Cars North America also awarded a new Porsche franchise to AutoNation in Orange County, Calif., the retailer announced. AutoNation expects the new store to open in 2016 and add annual revenue of $100 million after becoming fully operational. During the third quarter, AutoNation repurchased 4.4 million shares of common stock -- quadruple the pace of repurchases in the second quarter. The company’s stock price generally declined during the third quarter. The third-quarter buybacks were made for an aggregate purchase price of $235.9 million. The company said it has repurchased 8 percent of its outstanding shares this year so far and announced that its board has authorized the repurchase of up to an additional $250 million in company stock. The increase means AutoNation has $281 million remaining board authorization for share repurchase. AutoNation has 113 million shares outstanding.